Congratulations to all our wrestlers who took part in the state wrestling meet this past weekend. All of our wrestlers represented our school positively and competed hard all weekend. State wrestlers were: Jacob Tegels, Lonnie Albertson, Mike Theisen, Vince Hartline, CJ Bolen, and Gage Harline. Three individual wrestlers placed at the state meet: Mike Theisen – 5th Place. Vince Hartline – 4th Place. Gage Hartline 4th Place. Good Job to all wrestlers this year!!! This entry was posted in Uncategorized on February 18, 2014 by Nick Wemhoff. 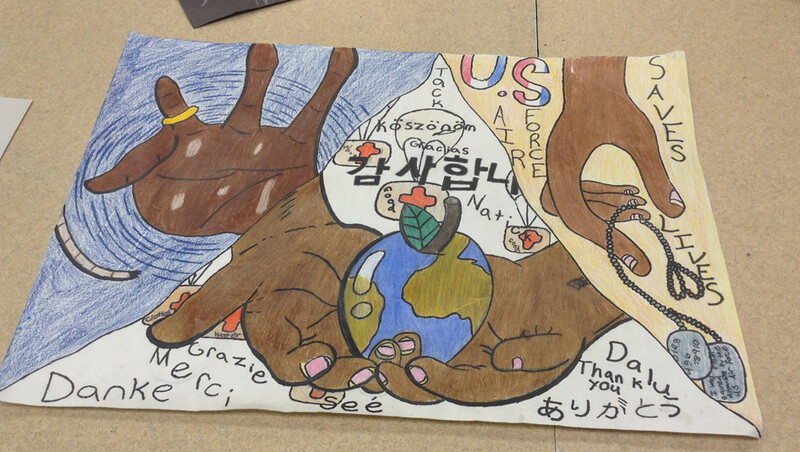 Congratulations to Christopher Lopez for earning an Honorable Mention award from the Nebraska Department of Aeronautics Aviation Art Contest. Christopher will receive his award on Saturday April 5, 2014, 1:30 p.m. at the National Guard base near the Lincoln Airport – in the Operations building. Numerous military and civilian aircraft are planned to be on display as well as an exciting program for everyone’s enjoyment. This entry was posted in Uncategorized on February 17, 2014 by Jennifer Gepson. 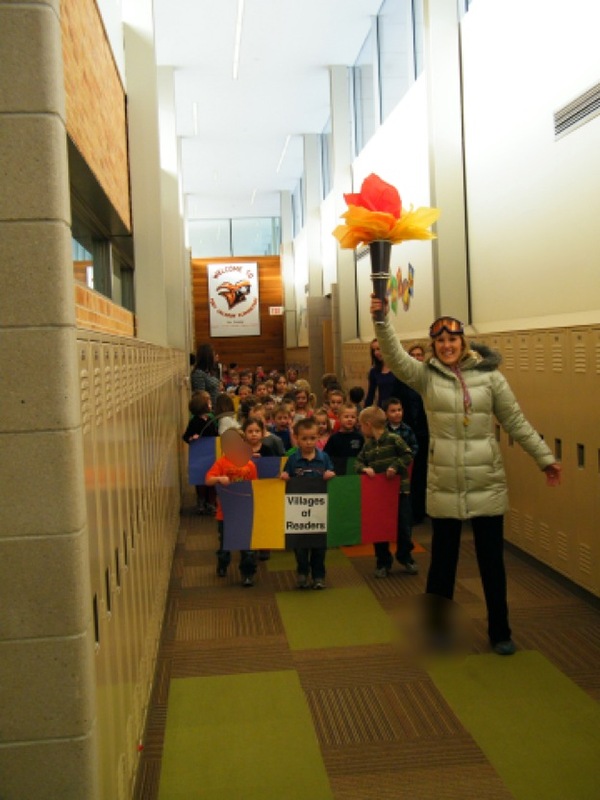 To kick off the Reading Olympics program, Fort Calhoun Elementary students paraded throughout the school and into the gymnasium for the opening ceremony. 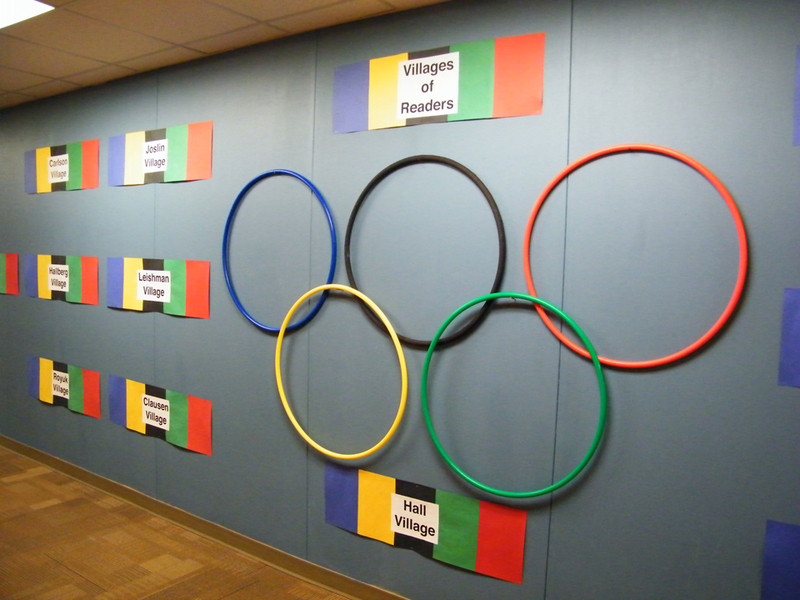 Each time the students complete 5 reading events, they will earn a gold medal. They can continue earning medals through the end of the program on February 28. A closing ceremony will be held in early March to celebrate their success. Click the following links to print reading logs for your child. This entry was posted in Uncategorized on February 15, 2014 by Jennifer Gepson. Your Feedback Counts! Parent surveys available during parent/teacher conferences. 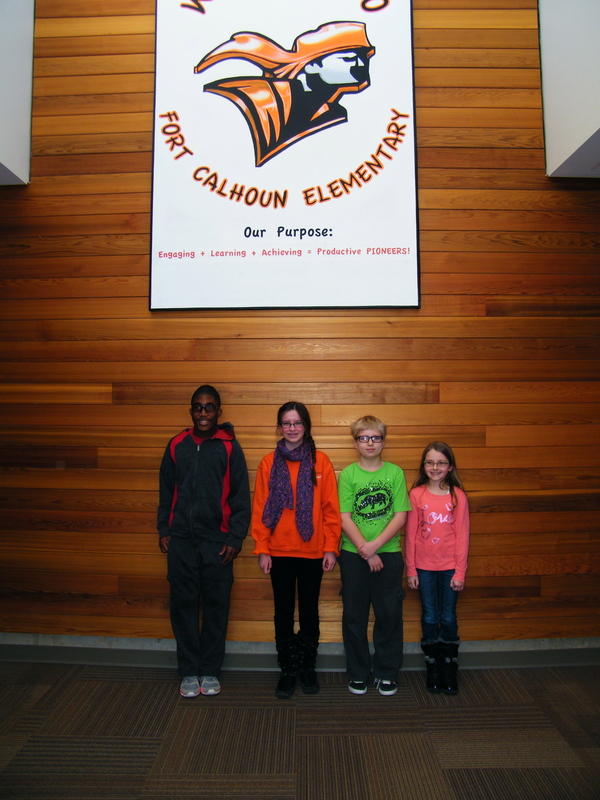 Fort Calhoun Community Schools are engaged in an ongoing continuous improvement process, of which all stakeholders are a part. On February 17th and 19th for the elementary and February 19th for the high school, during parent teacher conferences, the district will be providing stations in each school to complete an online survey as one method of reaching all stakeholders. Surveys are a means to systematically engage all our stakeholders in a two-way communication. They provide school leaders and teachers a lens into the thinking and perceptions of our stakeholders. Careful analysis of the results enriches understanding of areas of strength and effectiveness as well as those areas that possibly need improvement. The survey results will enable our school leaders to measure stakeholdersʼ attitudes and help target improvement strategies focused on student achievement as well as school and district effectiveness. Taking the survey will also help stakeholders understand the AdvancED Standards for Quality Schools and provide a means for learning about what a parent, student, or staff member should be looking for in a high quality school system. Please be assured that your responses to this survey will be anonymous and your honest opinions are appreciated. If you would like to learn more about AdvancED please visit http://www.advanc-ed.org/. This entry was posted in Uncategorized on February 14, 2014 by Jennifer Gepson. The winner of our school spelling bee was Austin Justus. He battled against Bryce Hirchert for first place. The event went 11 rounds. 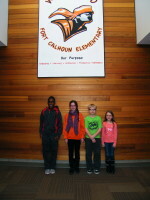 The top four spellers (two middle school students and two elementary students) qualify for the county spelling bee which is held at Otte Blair Middle School on February 21, 2014 at 9:00 a.m. in the commons. The students that qualified are Austin Justus (8th grade), Avery McKennan (7th grade), Bryce Hirchert (6th grade), and Cameryn Lewis (4th grade). 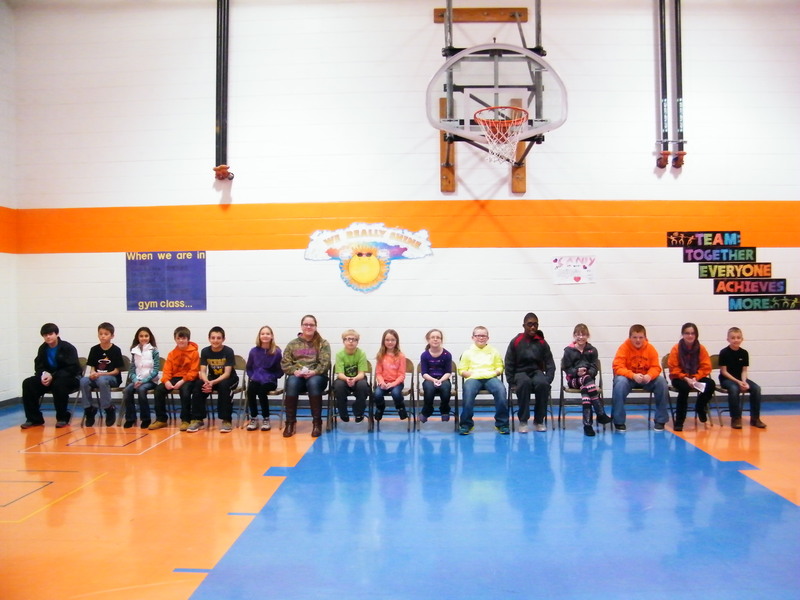 Great job to all spellers for their hard work and dedication the last three weeks. This entry was posted in Uncategorized on February 10, 2014 by Jennifer Gepson. The Building Construction class has had a hard time finding work this winter, so they decided to build houses of their own. These are models, but they are to scale. 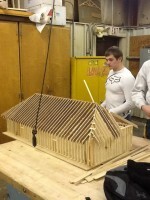 Students are learning how to frame a house from the ground up. All the studs are spaced proportionately the same distance as they would be in a normal sized house, they are learning how to frame doors and windows. They are also learning the importance of building out corners and headers the proper way. 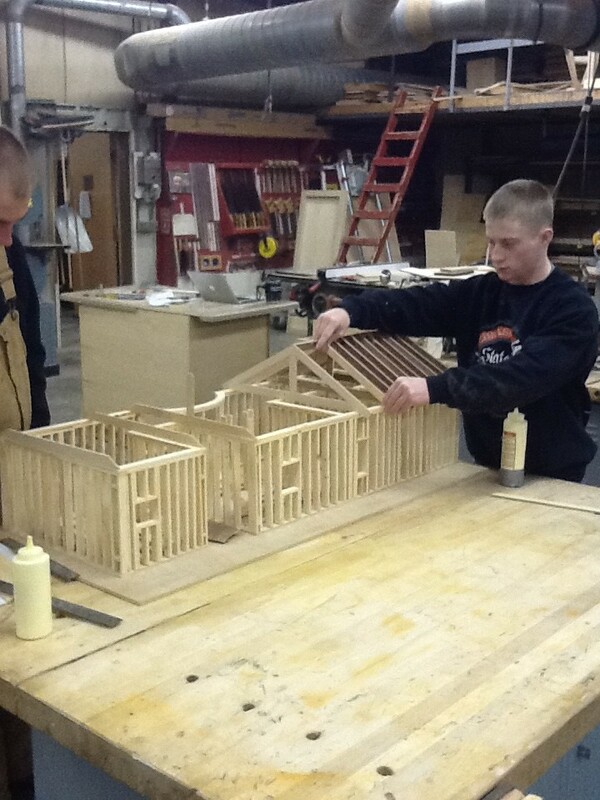 They may be models, but it is the same process as framing a real house. This entry was posted in Uncategorized on February 4, 2014 by Jennifer Gepson.